Previously I shared my favourite trip planning tools for general travel. In this post, I get more specific about the online tools I use for tracking down cultural experiences and visual delights. 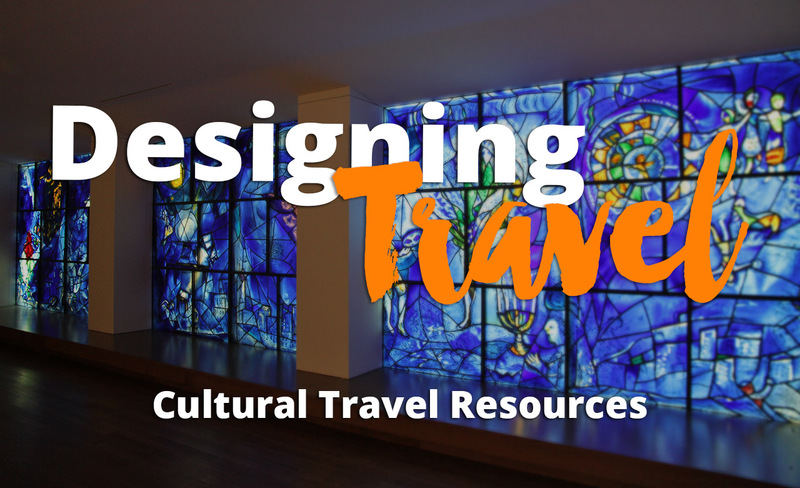 These cultural travel resources will help you to choose a destination; or pin point some of the best art, architecture and artisan experiences at your predetermined vacation spot. Iconic Houses is a coalition of house museums and their website provides a map based search tool for 20th century homes of architectural significance. These include the homes of architects and artists, with some you can even stay in! Iconic Houses is mostly North America and Europe focused. This website targeted at architects and showcases worldwide examples of amazing structures. Their Architecture City Guides mostly provide coverage of the U.S. and Europe. They generally list buildings of interest with their architects and year of construction, though some have been expanded with maps and images. Historic Artists’ Homes and Studios, is a North America centric tool that came about through a partnership between museums that were once the homes and studios of American Artists. Search by map or a directory of artists, it’s very simple to use. Search art museums worldwide using Art Cyclopedia’s map and directory. If you are interested in a particular artist, you can search by name to find where their work is located in museums around the world. Ironically, it’s a rather unattractive website but a functional tool. My Art Guides is a subscription based website for contemporary art lovers. It currently lists 18 cities, their current exhibitions and art spaces along with restaurants, bars, shops and hotels for the discerning design palette. I haven’t used this one personally yet, but hope to in the future. This service helps you find and book vacations with artisans to learn about their craft and their city. Current crafts and destinations range from Japanese calligraphy in Kyoto to Argentine Tango in Buenos Aires; bespoke shoe making in Prague to shadow puppets in Penang. Vacation with an Artist was one of my most exciting discoveries of 2016, I can’t wait to book a holiday with one of these amazing artisans. Instagram and Pinterest, in particular, are excellent for finding beautiful places because of their visual medium. Geotagging and hashtags will help you track down the location of Instagram posts. I also use it as a tool for finding the best photography angles and locations for shooting. Pinterest, on the other hand, is likely to link you to a blog post that will tell you more about the destination. This atlas with a difference is a crowdsourced platform which locates and profiles some of the quirkier and lesser known attractions a location has to offer. You just pop in your location or destination and it will bring up a host of nearby places to explore. Atlas Obscura’s entries range from a miniature city in Moscow to a giant rocking horse in Adelaide, Australia. I hope you find these cultural travel resources useful for getting the most out of your vacation and tracking down the most beautiful places along your path. This is great. I’m not the best person about seeking out art so this is a great guide for me. When I do stumble across it, I really enjoy it so I will keep these easy tips in mind. I especially love coming across amazing street art! Thanks Joe. Sometimes the best way to find art is just to wander curiously. These are certainly great tools if you’re looking for a little more. Zoe, seriously… this is amazing! I usually just wander around aimlessly for quirky places and cool murals and art. I’m downloading these apps and sites now to check out for my next adventure!